Very few voices echo the father’s invitation to his two sons to more grace: “Here’s some more money, here’s a fatted calf, let’s party!” Neither son deserved a party. Neither son really knew their father or understood his values. The point was, it was enough that the father loved his sons. That was the only motivation for the father’s extravagance. The plain truth of the matter is that we really don’t deserve God’s grace. To think we have to somehow qualify for grace is to miss the point entirely. Martin Luther, in a letter to his friend Phillip Melanchthon, tried to explain this. Phillip was trying to find the limits of grace, trying to sift through the critical voices challenging him about what was permissible and what was sin. 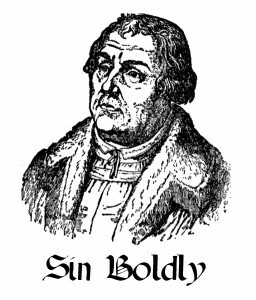 Luther wrote: “God does not save people who are only imaginary sinners. 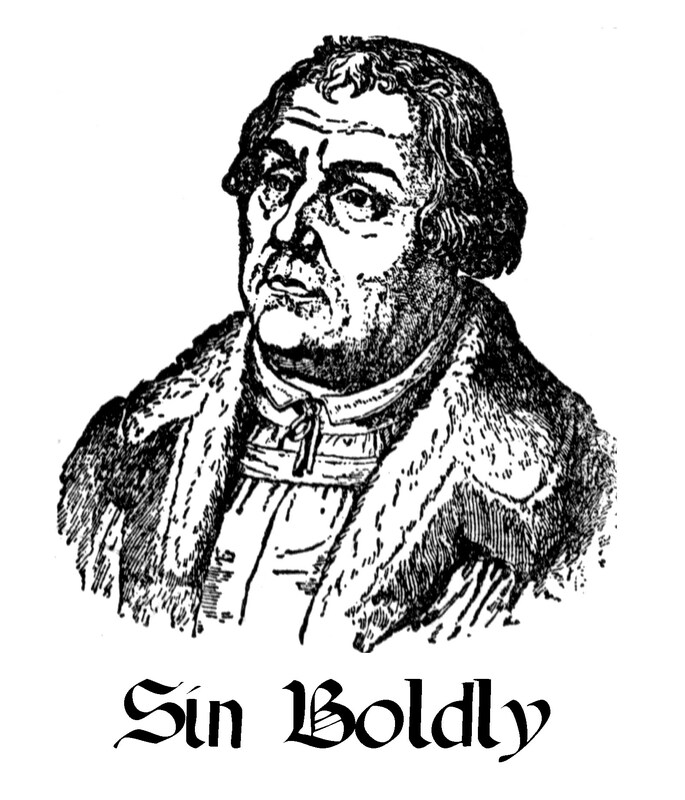 Be a sinner and sin boldly, but believe and rejoice in Christ even more boldly.” In other words, live boldly, do not be afraid to make mistakes and fail. We will fail, at times. But know this: the Father’s grace is more than sufficient. There is no such thing as the proverbial “fall from grace.” If grace is undeserved, as one definition puts it, then how can we possibly do anything more to “undeserve” it to the extent it is taken away? Likewise, we are not “restored to grace,” we are restored by grace. Grace is, from one perspective, God’s love in action. And — here’s a little math lesson — as God’s love and grace are infinite, so there is never any love or grace wasted. All of the money that the prodigal wasted did not diminish the father’s bank account whatsoever; an infinite amount minus anything is still an infinite amount. This is what the elder son failed to grasp. He had become stingy with this father’s money — with God’s grace — because he failed to see that grace is never wasted, and the supply can never be diminished. Grace is not a finite resource. When you see God pouring his grace out on someone else, it doesn’t diminish what is available for you. Rather, it just illustrates how much grace is actually available for you! Jesus never tells us what the elder son decided, or what happened to him down the road. From the father’s comments to the elder son, we can learn one important lesson: We can’t take advantage or enjoy God’s grace unless we are willing to splurge a little. We need to learn the joy of extravagant grace, whether it’s spent on us, or on someone else. How does God’s extravagance make you feel? How do you think someone can overcome the belief that grace is a finite resource?